What Is Focus On Mexico? Focus on Mexico provides information and offers assistance to people looking to move or retire in Mexico – especially the Lake Chapala area. We specialize in hands-on, in-Mexico, group learning experiences. We know coming here and experiencing it, is the only way to really know if it is right for you. We are your guides. 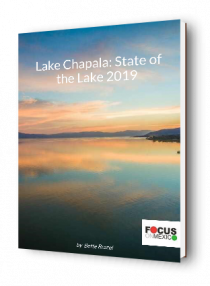 The Focus founders and Focus Team loved talking about and doing presentations about Mexico and the especially Chapala Lakeside area. We have a passion for how it has made such a difference in our lives.Why We loved showing friends and groups around our “pocket of paradise”, informally answering their questions, watching as friendships developed and for some, the realization that they too had discovered the Magic of the Lakeside – an opening to their next chapter in life. There are many people out there looking for their special place and, with our help, may just find it in Mexico. We knew that, through our programs, we could help many people find that a lifestyle to live “the best of their lives”. With that decision made, we spent many hours designing the program and “Focus” was launched in July 1999. Over the years the format has changed, the curriculum was honed, the work-book was expanded, and through trial and error, the outings and social events were selected. 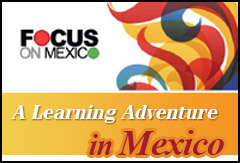 We welcome you to explore our website, do your research, and decide if a Focus On Mexico Learning Adventure is in your future!